Imagine racing Eagle’s wide receiver Jordan Matthews, or speed skater Brian Talley down a 40 foot track. Or even the Philly Phanatic. 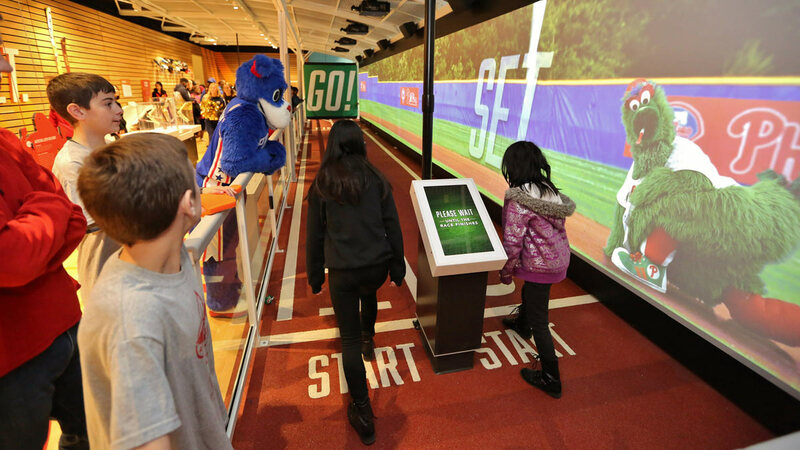 You can “virtually” at SportsZone , a new permanent exhibit at The Franklin Institute. 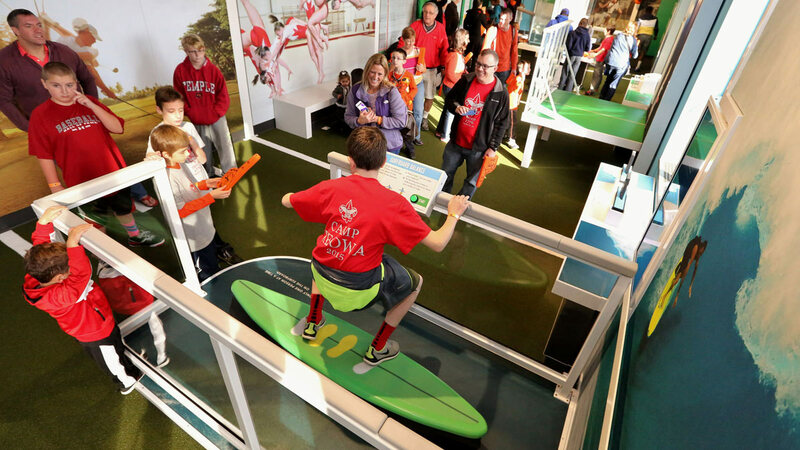 It features 21 interactive experiences, each exploring a different scientific principles related to sports and how the human body, laws of motion, and modern technological and engineering innovations interact in physical activities. 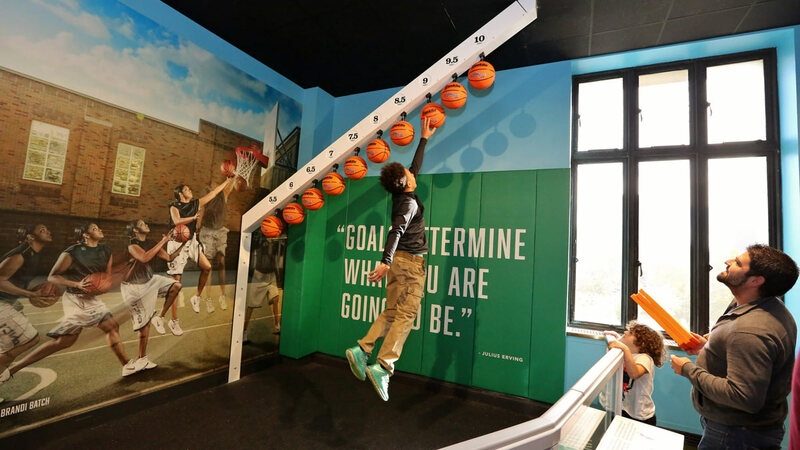 This all new exhibit replaces the original Sports Challenge exhibit, an all-time visitor favorite. 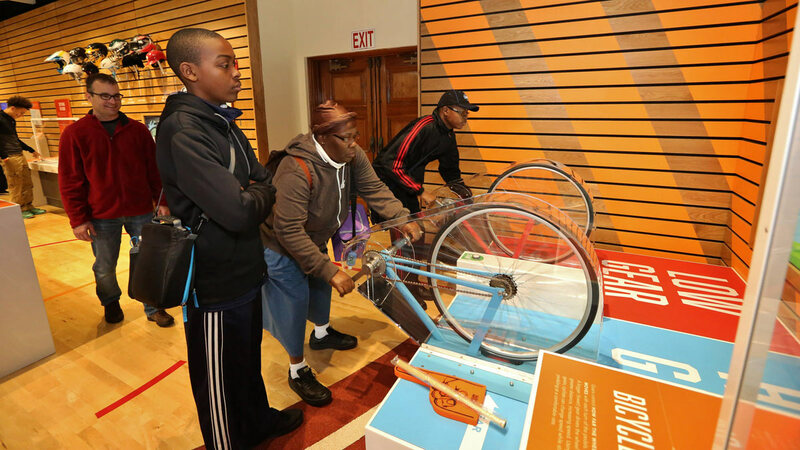 “We kept the best concepts and then reimagined them through a 21st-century lens of sports research and technology, physiology, and technology,” said Frederic Bertley, Senior Vice President of Science and Education at The Franklin Institute. 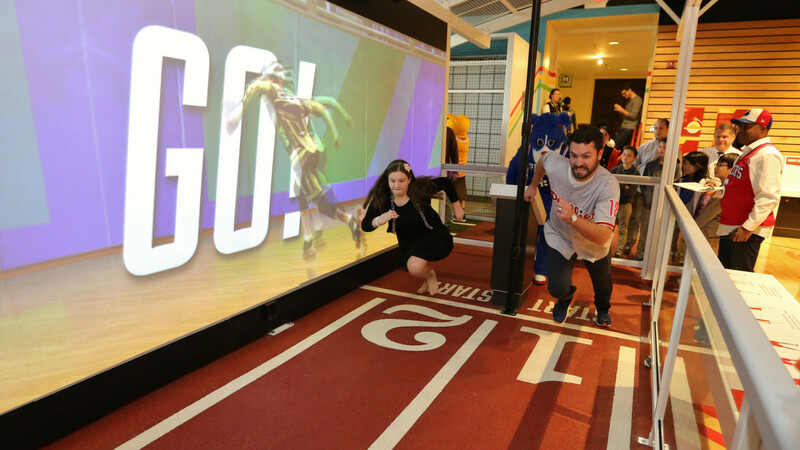 In addition to the augmented reality race (Athletes in Action), visitors can test their pitching skills, ride a surf board simulator and even test the force of direct impact on models of the human head, both unprotected and helmeted. The exhibit, now open, was designed by The Franklin Institute exhibit team. The interactive experiences were prototyped, tested, fabricated and installed by Art Guild.